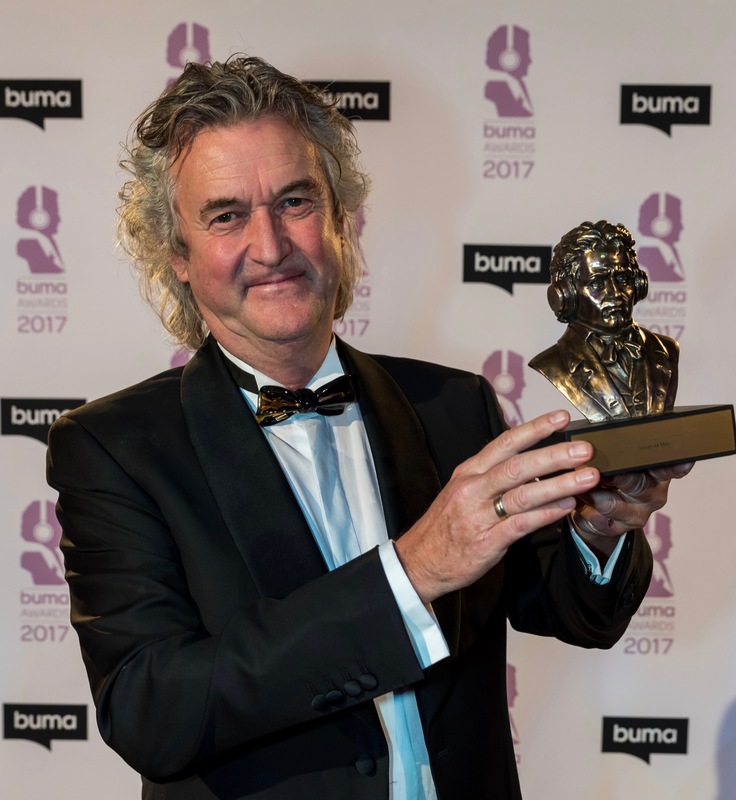 Dutch composer and conductor Johan de Meij is the recipient of the BUMA Classical Award 2016. The award recognizes his complete oeuvre as well as his extraordinary contributions for the wind music in The Netherlands and abroad. He received the award at the BUMA AWARDS 2017 Gala evening in Studio 21 in Hilversum, the Netherlands. It is the third time within one year that De Meij has received a prestigious prize. His composition Echoes of San Marco was the winner of the 30th Edition of the International Composition Competition in Corciano – Italy. His most recent work Fifty Shades of E won the 6th International Composition Contest in Muro - Spain.